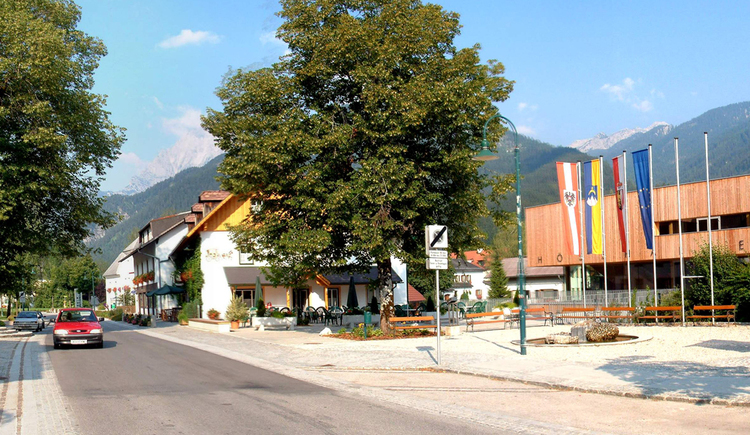 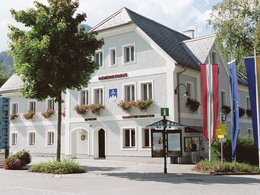 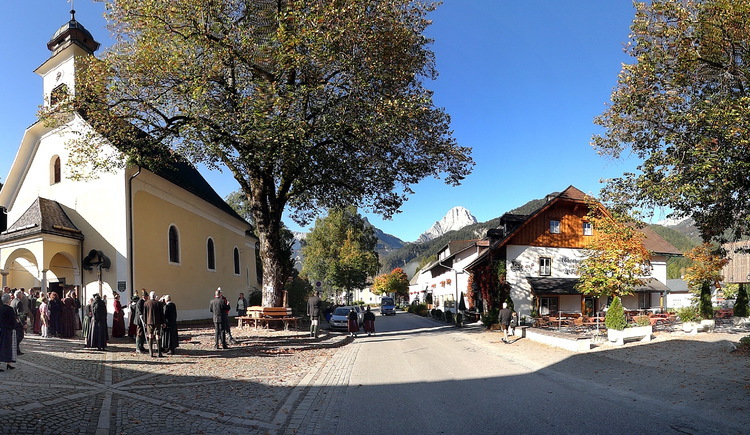 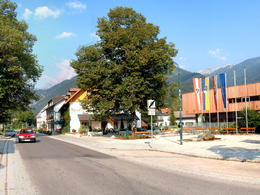 Hinterstoder is the only ski world cup village in Upper Austria and is known as an all year round holiday destination. 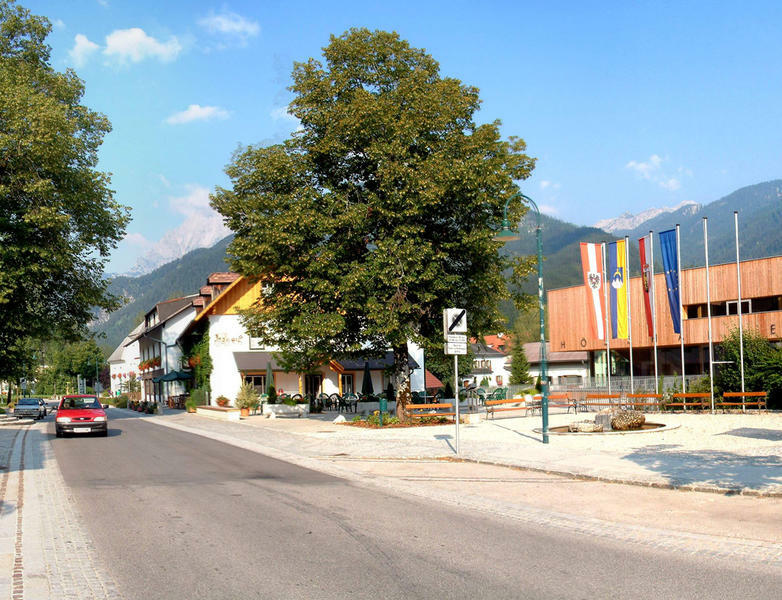 „Pearl of the Alps“ is a rating for extraordinary holiday villages in the Alps, putting their main focus on so called soft tourism, which means highly environment friendly. 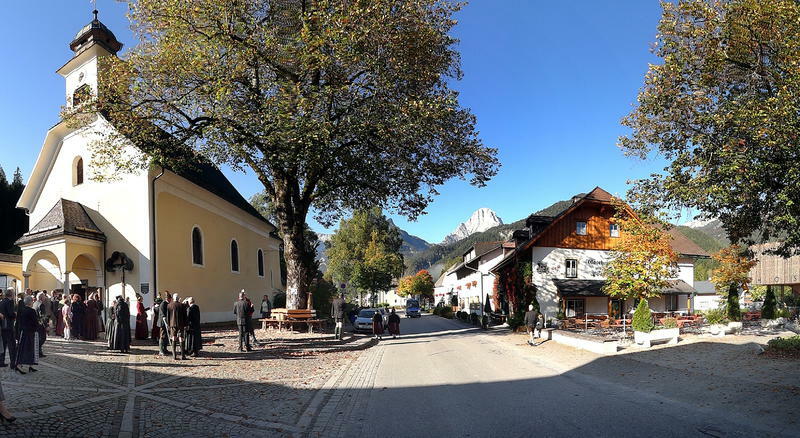 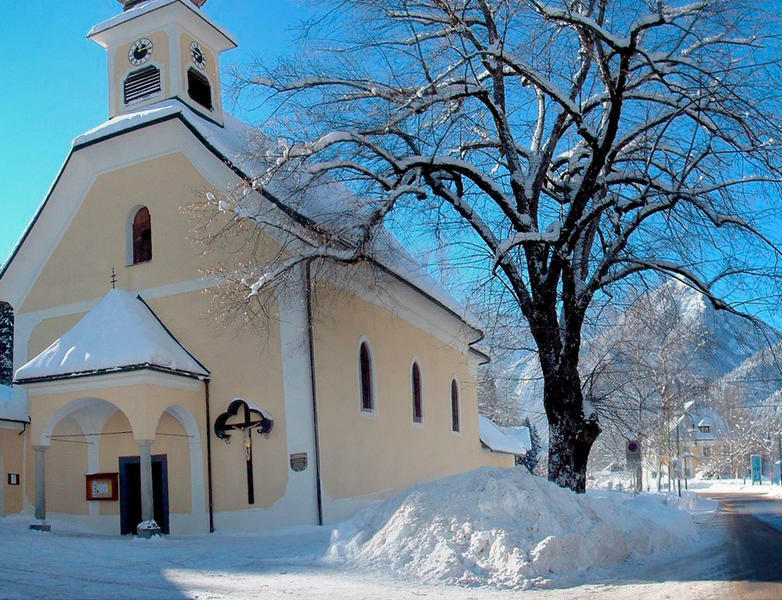 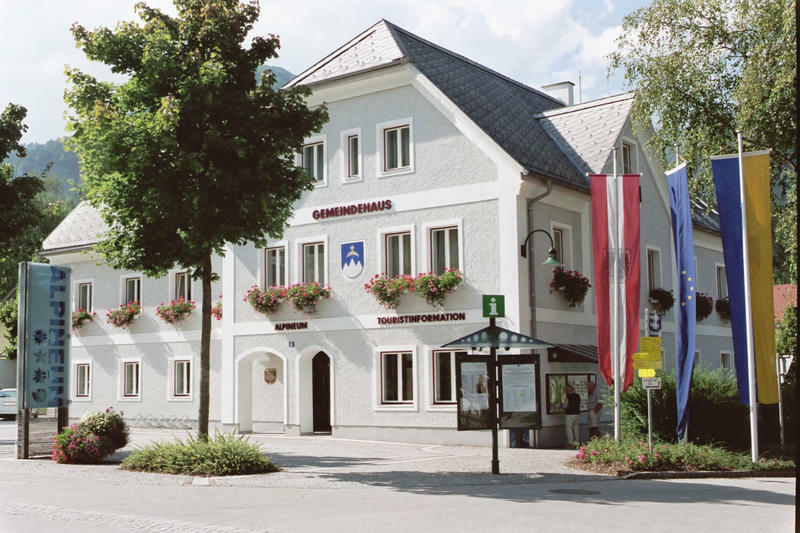 The authentic setting of the village surrounded by the impressive mountain peaks of the Tote Gebirge mountain range has high ranking with winter sport fanatics ranging from manifold ski downhill tracks at the Hutterer Höss to romantic horse sleigh rides and fun filled togoggan runs. 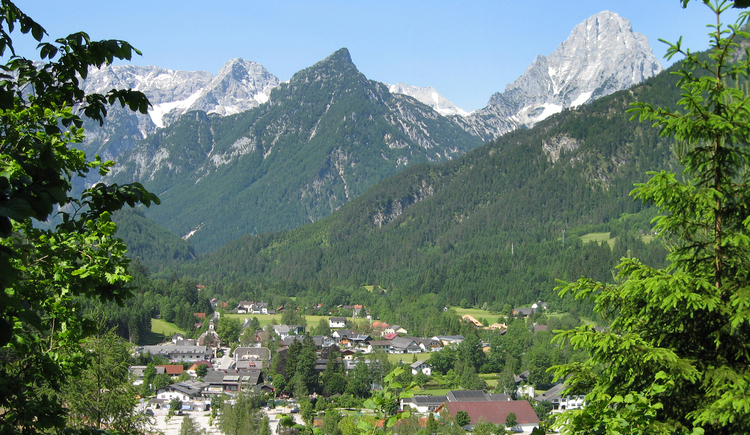 But also during the summer months, Hinterstoder is a true leisure and relaxation paradise. 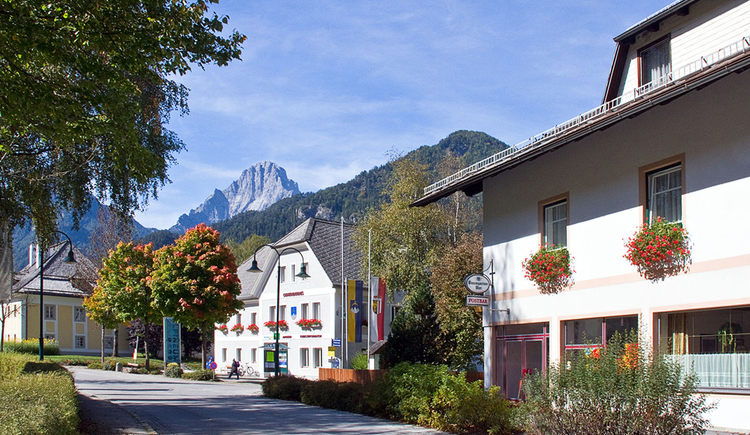 Unending hiking possibilities and natural beauties like the Schiederweiher, the Polsterlucke or the Stromboding waterfall attract holiday makers and day trippers. 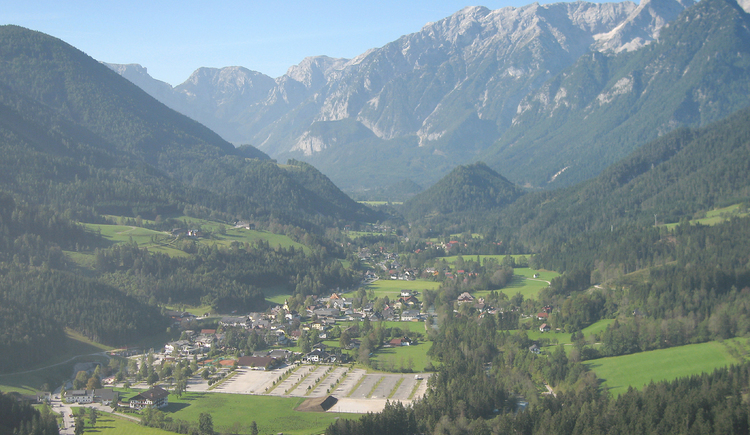 The Ski Area Hutterer Höss features 40 km of pistes at all levels of difficulty. 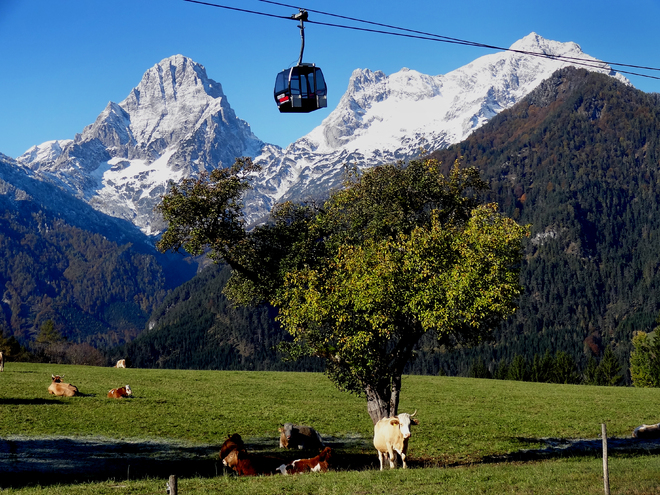 14 lifts between 600 m and 2.000 m altitude, a Sunny Kids Park as well as a snow park. 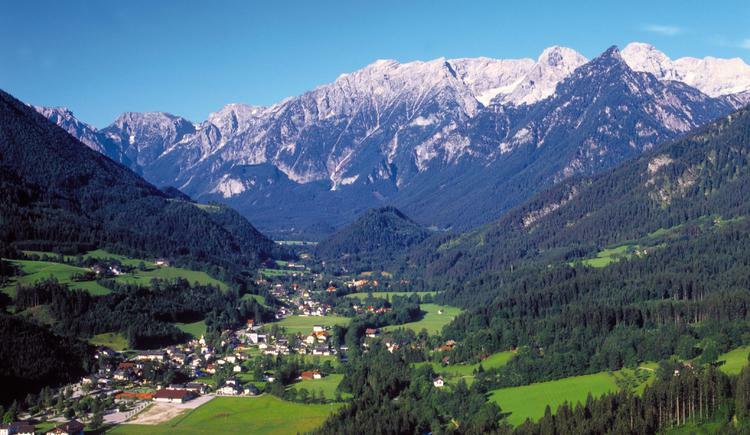 The world cup track named after the regional downhill champion Hannes Trinkl adds to the list of highlights in Hinterstoder. 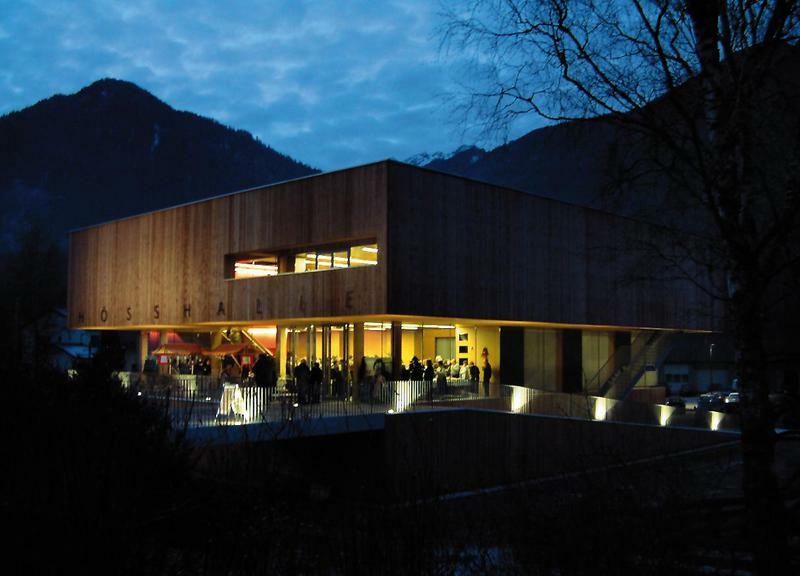 With a length of 3.500 m, a maximum drop of 60 Prozent and a width of up to 80 m, this track is not only a challenge for international ski athletes, but offers a glimpse of that world cup feeling for sport enthusiasts. 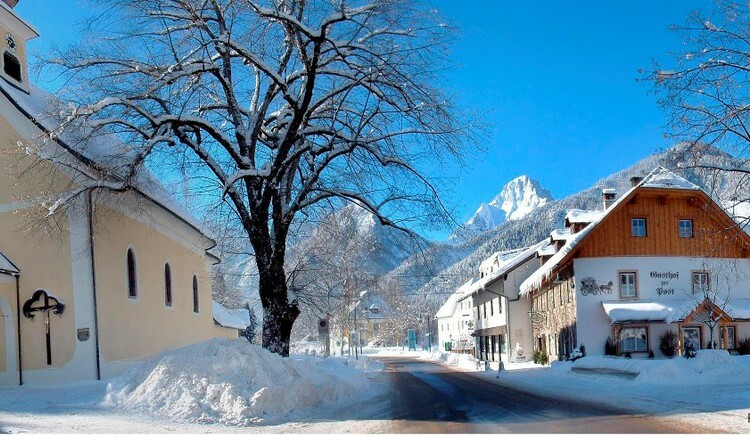 The charming winter landscape of Hinterstoder and the cozy huts invite you to rest, relax and enjoy. 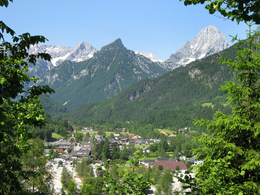 During summer the world cup ski area is a true hiking paradise. The cable car and the Höss Express chair lift take you up to about 1.800m altitude in no time, from where you can enjoy stunning views across the Tote Gebirge mountain range with its striking mountain peaks – Spitzmauer, Great and Small Priel. 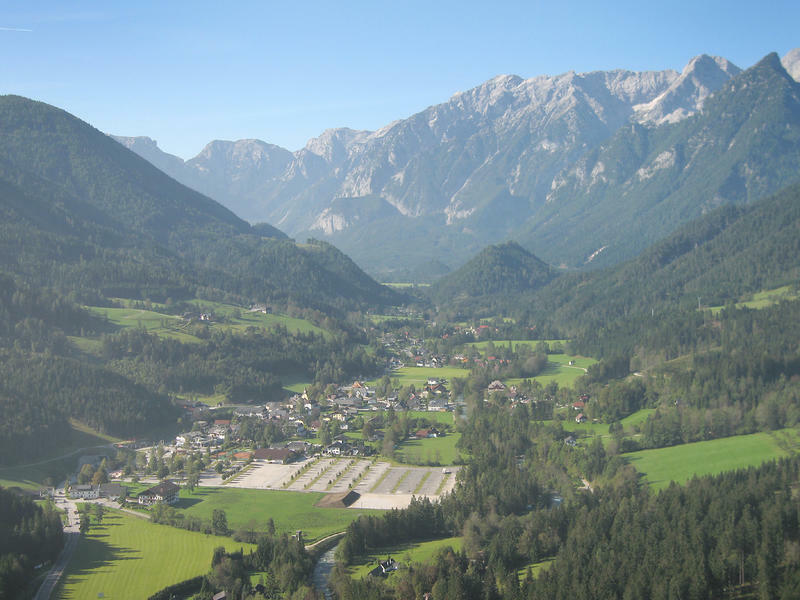 Some of the newly arranged 14 circular hiking paths of the CircularHikingWorld Hinterstoder lead up to the Höss. 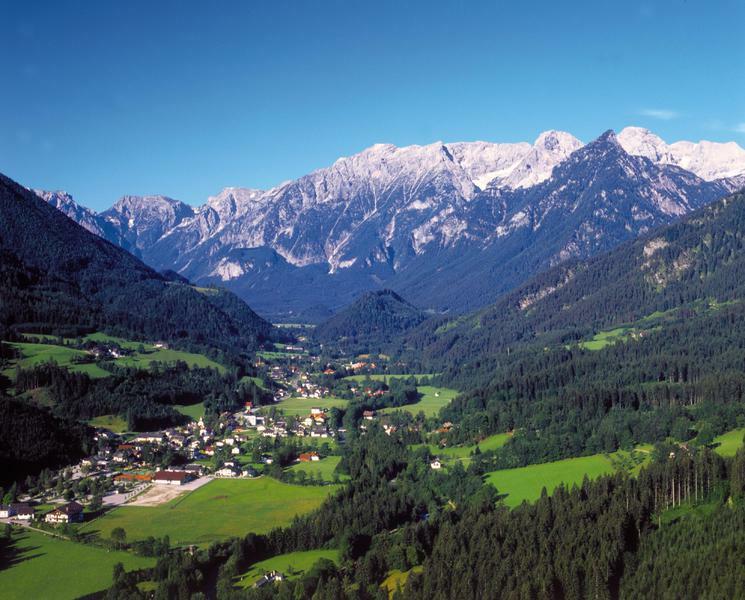 Whether you choose the easy going village promenade in the valley, the extensive and more elevated Stodertaler panorama trail or the Höss alpine trail high up in rocky territory – the 14 trails of the CircularHikingWorld Hinterstoder offer a diverse hiking experience. 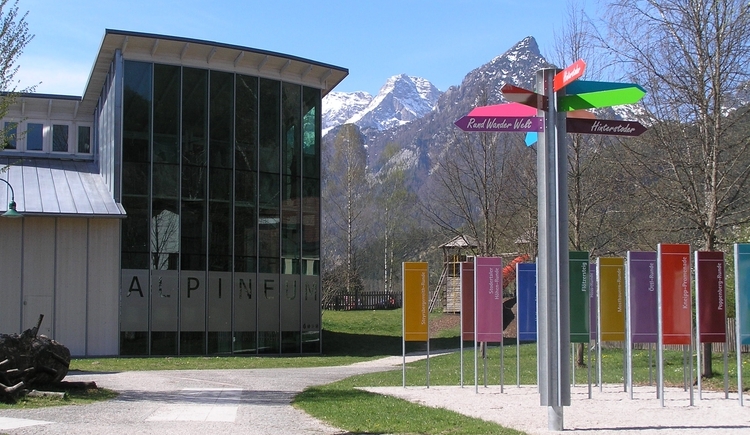 Grand panoramic views can be enjoyed from the viewing platforms Dachsteinblick and Stoderblick. 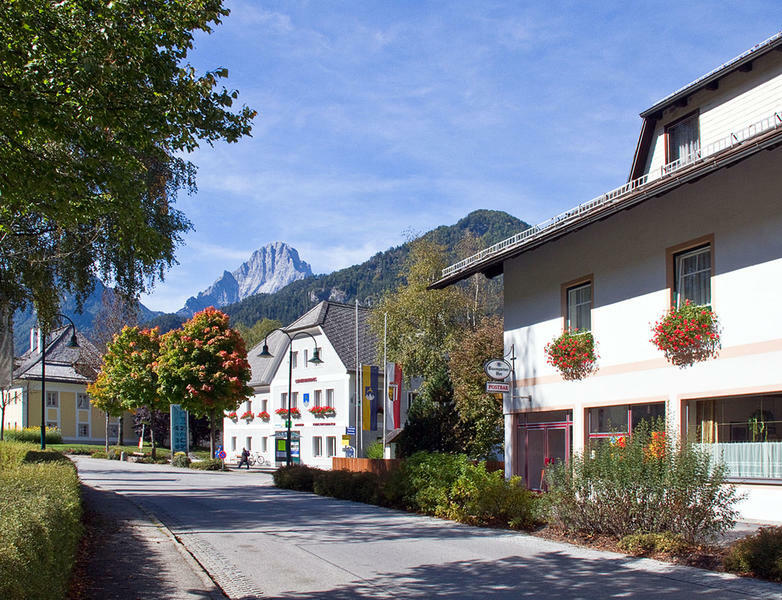 On top of all that there is a Running & Walking Arena offering four individual running tracks, a family friendly outdoor pool, indoor and outdoor tennis courts and a mini golf court. 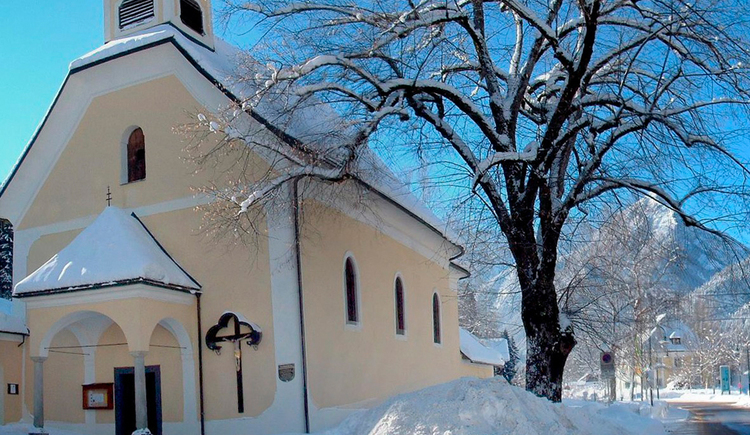 During winter enjoy trendy snow shoe hikes, fairy tale-like horse sleigh rides, hearty tobogganing or ice curling events or extensive cross country runs and ski tours. 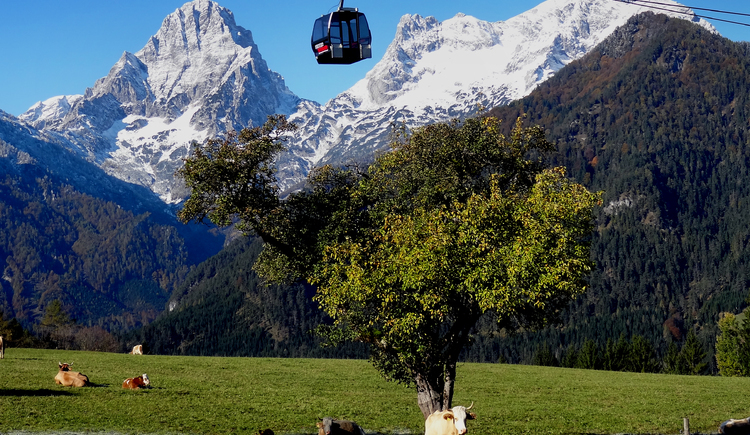 You can reach the airy heights of Poppenberg via the Klettersteig. It leads to one of the most beautiful view mountains of the Stodertal. 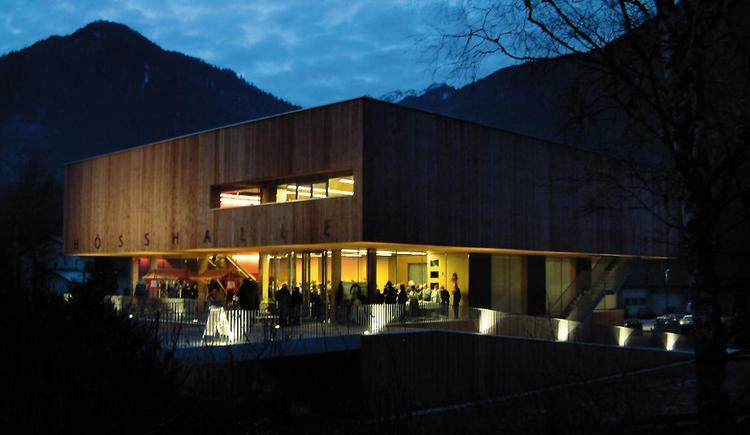 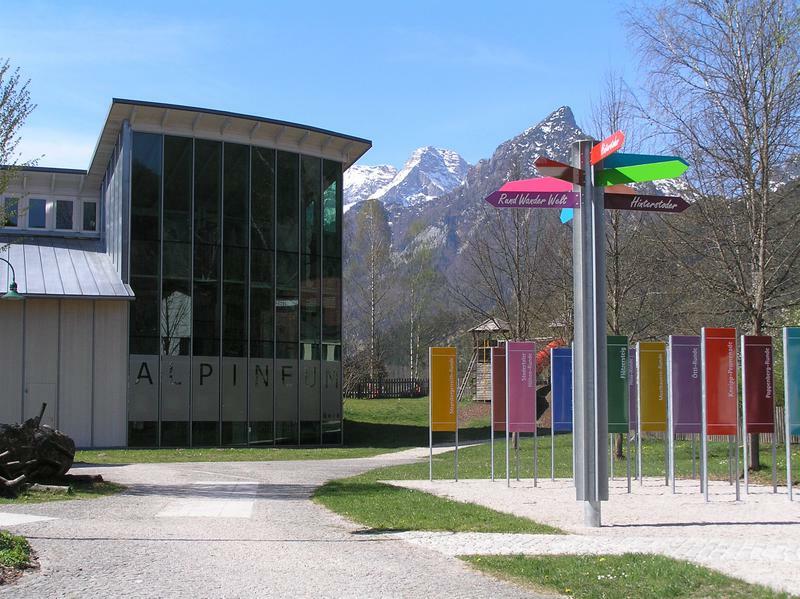 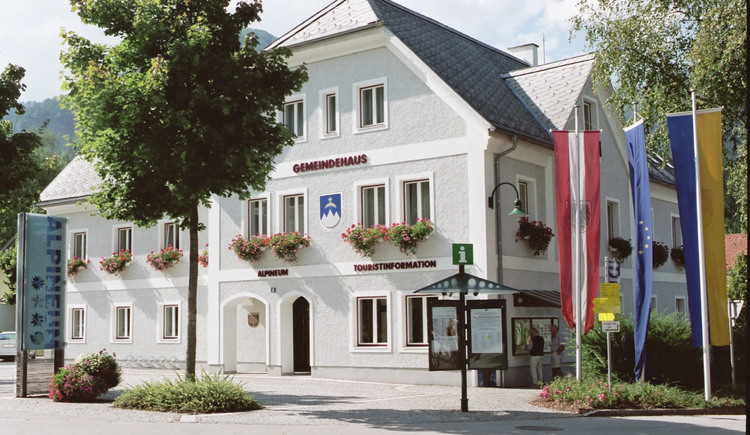 On bad weather days, visit the award-winning alpine musuem - the Alpineum – presenting the interesting history and development of alpine ski sports from the early beginnings of the first wooden ski to the current high-tech carvers.